Everyone needs a Wasp to their Ant-Man. And Evangeline Lilly does an amazing job keeping up with the shredded Paul Rudd! 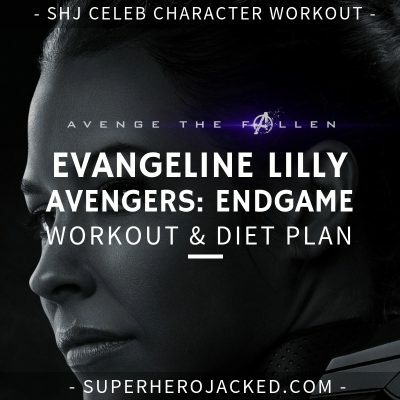 We’re continuing on into our launch week of the Jedi Path (Yoga and Meditation) within The Academy, and I was pleased to see that Evangeline Lilly utilizes a ton of different bodyweight exercises, that also include yoga poses to get her fantastic physique. We know tons of our celebs SuperHumans utilize yoga, and just recently even analyzed Jennifer Aniston and Robert Downey Jr.’s yoga styled routines! I’d love to hear from you in the comment section. Lilly is right around the average height we see for the women we’ve analyzed at SHJ, standing right around the same range as Olivia Munn, Katie Cassidy, Katheryn Winnick, and Caity Lotz. She stands taller than women like Emilia Clarke, Natalie Portman and ScarJo, but shorter than our Wonder Woman Gal Gadot, and women like Sophie Turner, Melissa Benoist and Jennifer Lawrence. But, don’t worry, this routine will be for everyone of you! It doesn’t matter if you’re seven foot eight, or even three. 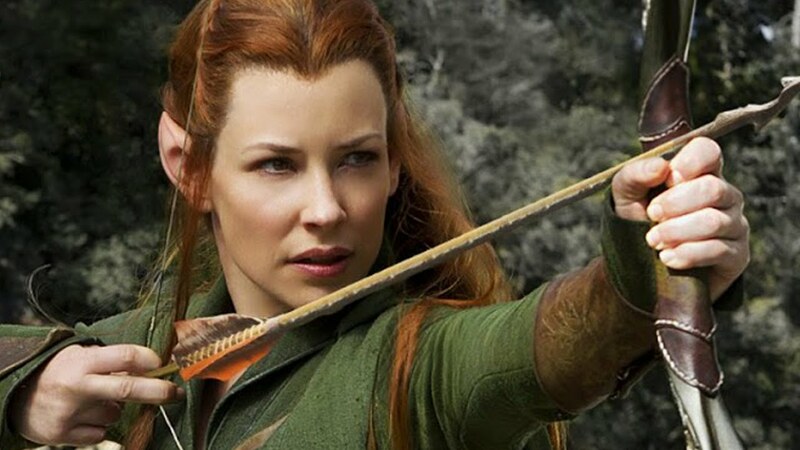 Evangeline Lilly has a diet that consists of very natural food. Kind of a mixture of the diets we utilize within The Academy and it’s Nutrition Classes (Viking, Samurai, Monk, Hunter Gatherer, Spartan Warrior). You can head over to the Nutrition Pillars here at SHJ and find things similar such as: paleo, nordic, and vegan/vegetarian styled diets. That being said, Lilly also makes it a point that she has something sweet every single day. 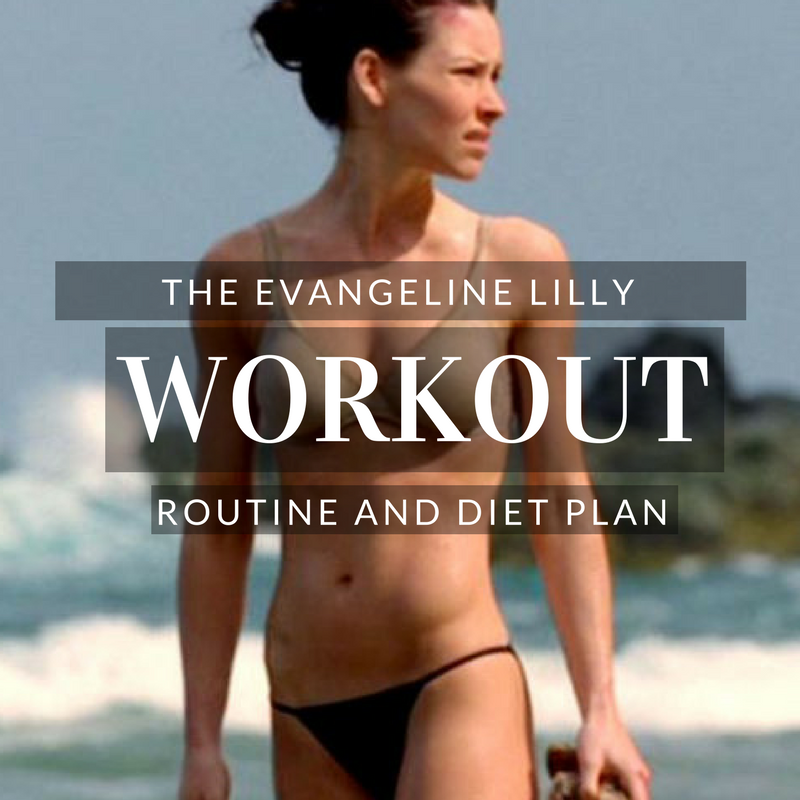 So for all of you who were thinking about going on a diet, I guess Evangeline Lilly has other plans for you! But, she’s also got the body to do what she likes, so first get there! The sleep comment is honestly one of the best things I’ve heard from these celeb advice quotes in a while. We know at SHJ how important sleep really is, so don’t forget it! Take the Lilly advice, people! But, without overlooking what she states about exercise, we will definitely incorporate her way of thinking into the routine we create. Walks, swimming, yoga, calisthenics, and meditation are all things that come up when looking into Lilly’s routine. 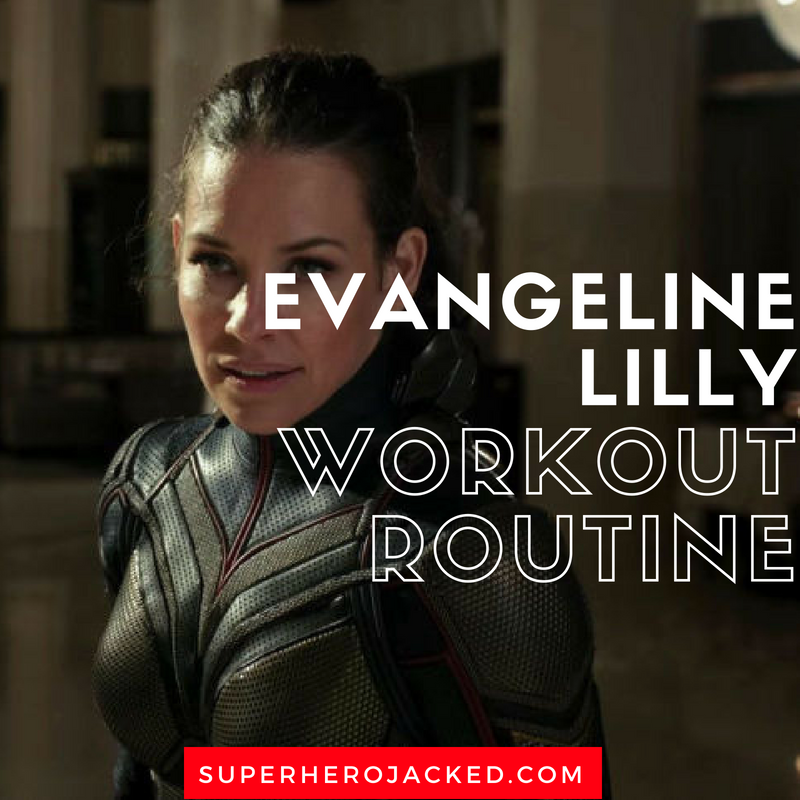 I’m going to give you two different variations for Evangeline Lilly’s training. 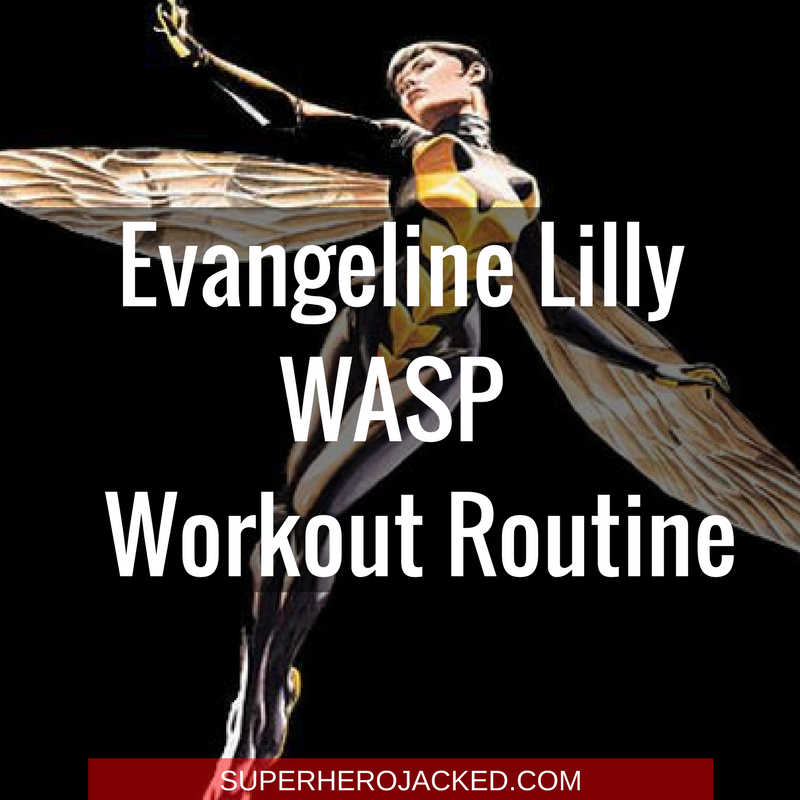 I’m going to give you a variation based on the countless Marvel celebs I’ve researched and how they train, and then also a variation based on how she has stayed in shape prior to being The Wasp! Variation One is the Marvel Variation! This is where you get out there and walk, swim, do some pilates, cycle, or just have a good ol’ fashion Cager as Chef Dave would call it. Whether that means you’re utilizing the new Bonus Jedi Path in The Academy, one of the other Paths, or even just playing sports with friends and family: just get out there and do it! Evangeline Lilly takes a different approach to training. She incorporates activities such as calisthenics, walks, swimming, and yoga in order to stay flexible and lean. While lunging, bend forward at your hips, keeping your back flat, and extend your arms toward the ground in front of you (your hands should reach somewhere below your knees). This will make your glute muscles work harder. From a pushup position with your arms and legs fully extended (wrists directly under shoulders) contract your core and abdominal muscles (A). Slowly exhale and shift your weight backward by pushing your hips up and back. Continue moving until your body forms an inverted V, allowing your head to hang loosely between your shoulders (B). Keep your arms and legs extended, and be sure to maintain a neutral (flat) spine. Hold for 1 to 2 minutes. Raise your upper leg off of the lower leg throughout the exercise. Raise both arms and both legs off the ground. Hold briefly, then gently inhale and lower your legs and arms back to start without creating any movement in your lower back or hips.